Whether you call this dish chili or hearty chicken stew, this creamy white chicken chili is definitely a winner. 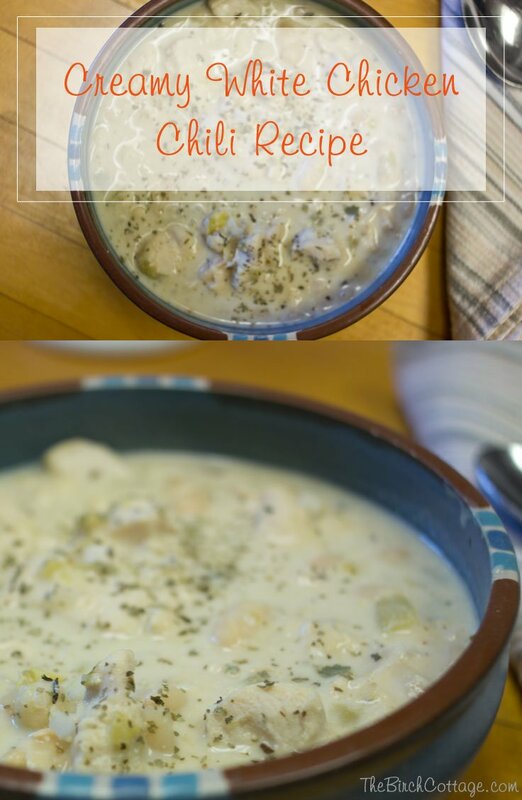 White Chicken Chili is probably my entire family’s favorite soup! Our youngest (aka the baby boy) left for college a couple of weeks ago. His dad and I had asked him if there was anything he’d like to do or eat before he headed off to school. He thought about it for a few days and then told us he’d like to go bowling and eat some Creamy White Chicken Chili. So we invited some friends and family and we went bowling. Had a great time bowling. So, we moved on to the next item on his list and we had Creamy White Chicken Chili for dinner. 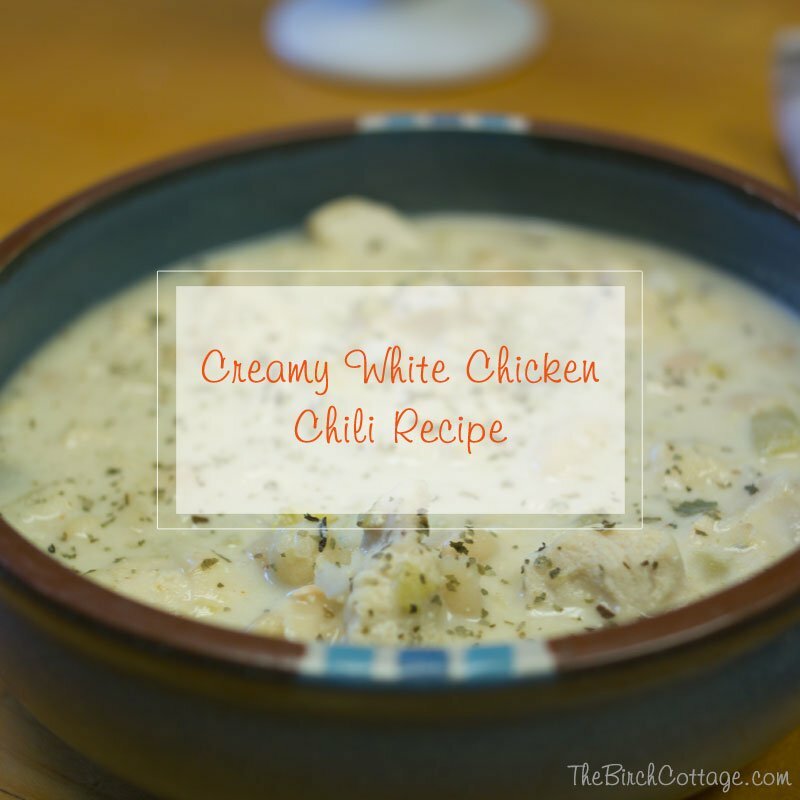 This Creamy White Chicken Chili recipe is absolutely one of my favorite dishes. Apparently, it is one of our son’s favorites as well (who knew?). You know, he doesn’t even like “green things” like green chiles, cilantro, lettuce, broccoli (the list goes on), but he loves this soup. It’s such a great blend of flavors and textures. It just all melds together perfectly in your mouth. 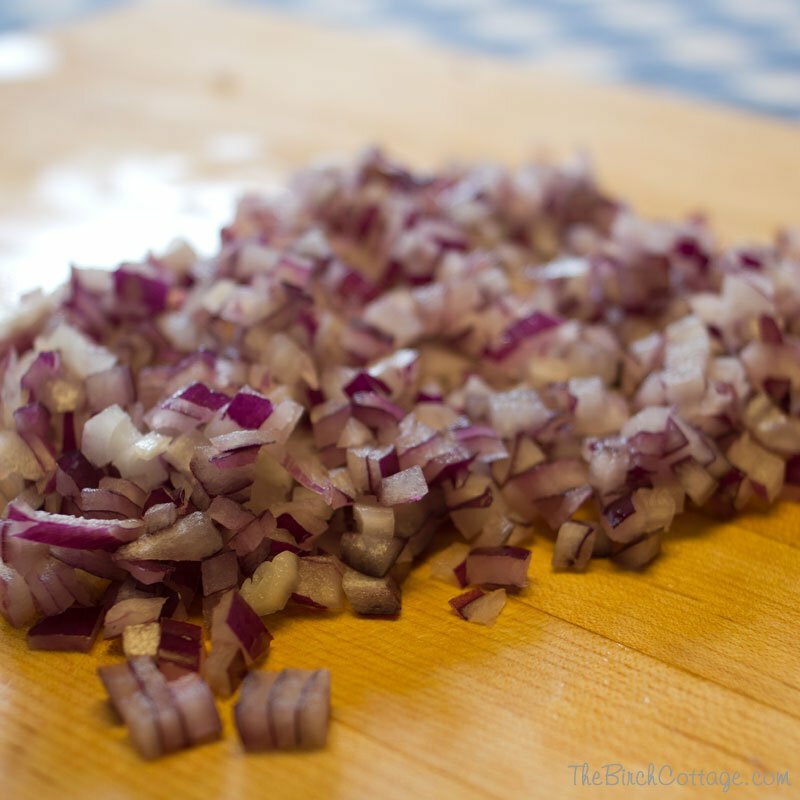 To get this Creamy White Chicken Chili recipe going, we’ll start with a whole onion finely chopped and diced. I like to chop the vegetables first, since I’m using the same cutting board, and then move on to the chicken. But first, put a little bit of oil (I like coconut oil, but use your favorite) in the bottom of a large stock pot, then add your onions over low heat. This way, your onions will be sure to be nice and tender for those who aren’t onion fans. 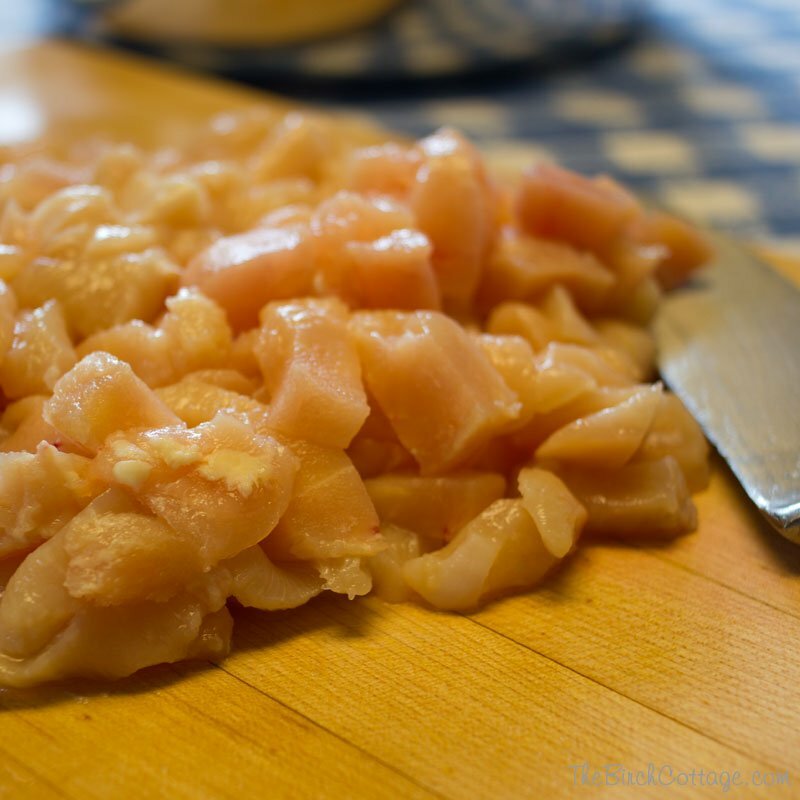 So, after you chop up your onion nice and fine and get it started on the stove, you’ll take your boneless skinless chicken breasts and cut those up into bite size portions. Add the pieces of chicken to your pot, along with the garlic powder and cook over medium heat until the chicken is nice and white. Then you’ll add the beans, green chiles, seasonings and chicken stock. Cook until it comes to a boil; reduce heat to low and simmer for 30 minutes. Remove soup from burner and add the sour cream and cream. Serve. Yum! Creamy, rich and full of cumin goodness. This soup recipe is hearty and definitely a family favorite! 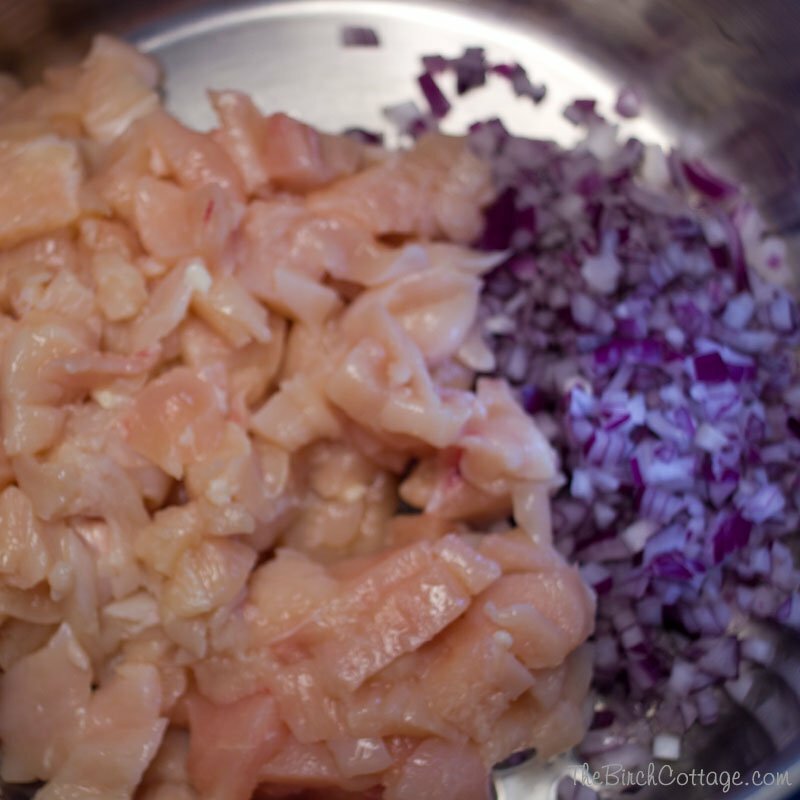 In a large saucepan, saute the chicken, onion and garlic powder in oil until chicken is no longer pink. Add the beans, broth, chilies and seasonings. Bring to a boil. Reduce hit; simmer, uncovered, for 30 minutes. Remove from heat; stir in sour cream and cream. This soup really is a family favorite. So, why have ordinary chili when you can make Creamy White Chicken Chili? My family loves this recipe so much, it’s hard to make too much. Even when I double or triple the recipe, I find it all gets eaten. If your family is anything like mine, they’ll love this soup! 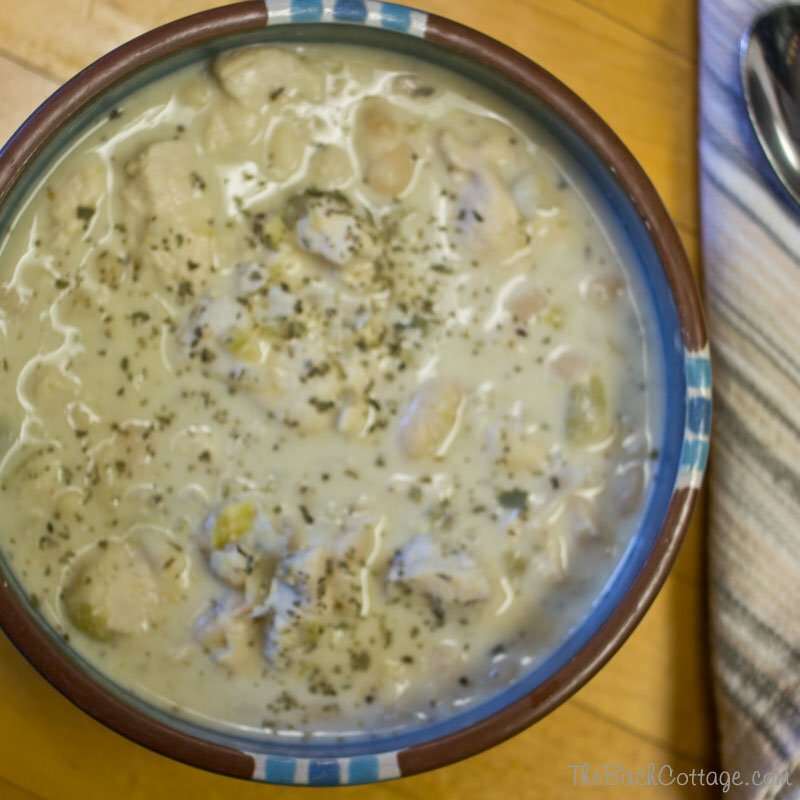 To think we hadn’t even heard of Creamy White Chicken Chili until just a couple of years ago. 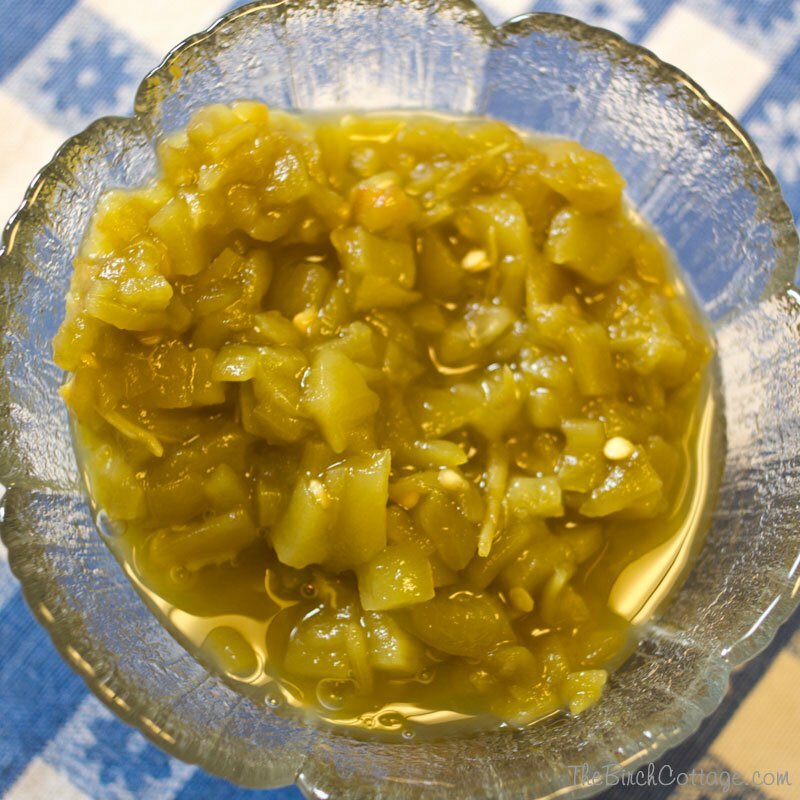 I really hope you give this recipe a try! I promise you will not be disappointed.